Hello, Friends! I love this time of the year because I get to catch up with friends and family while I reflect on the year and plan for the new one. I hope your holidays have been wonderful, too! I'm thrilled about starting a new year with this blog. 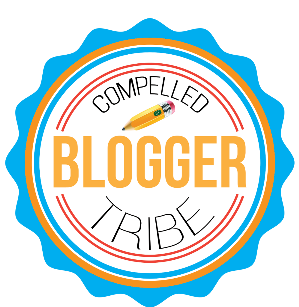 Thank you to all of you who have read, commented, and shared posts from The Compelled Educator. You light my fire and keep me lifted up as I pursue my passion of helping others become their best! I'm closing out 2016 with today's post of "The Best of..." It's always so much fun to read back through blog posts from the year and reminisce on what was going on at the time that caused the words to flow. The posts are the ones that were most-read, so grab your cup of coffee and let's go! I'm always trying to learn, and one of the things on my list has been how to create a "clickable collage." You've probably seen them on other blogs where you can click the different pictures in the picture and it links to different sites, pages, or posts. I've been working on it today so that I could include it in this blog post. I was excited to see that #6 above was in the top 10 for the year. It's about an event at our school that was special for the recipient as well as for MANY of our students. Check it out if you missed it. 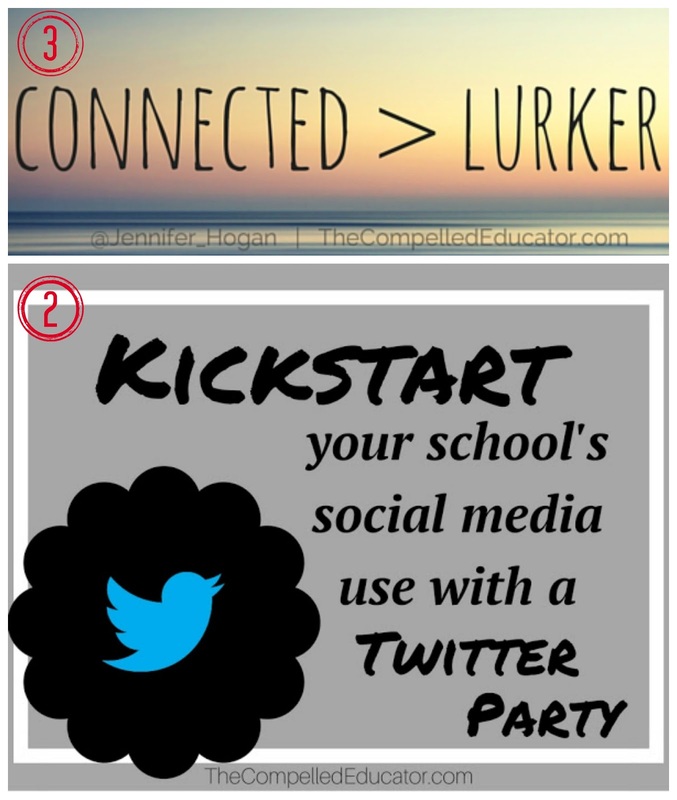 #2 - Kickstart your school's social media use with a twitter party! It's exciting for me that # 2 & #3 were both about twitter. 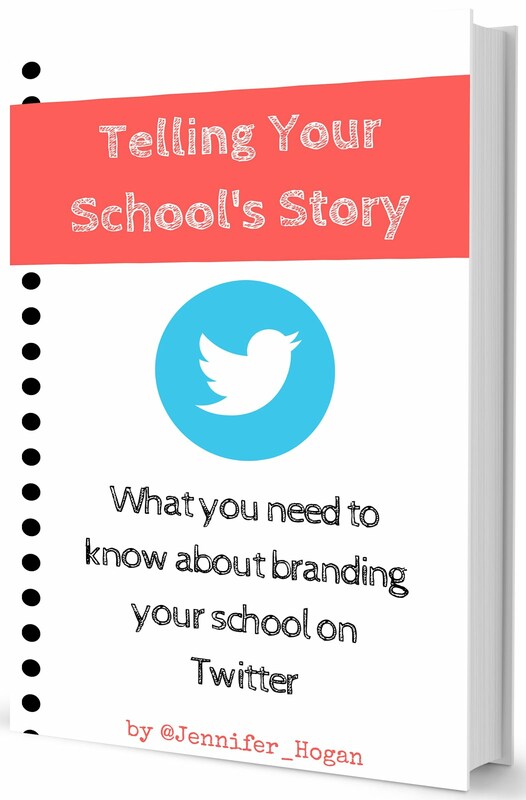 Here's why it fires me up: 1) Twitter is THE best source for PD, 2) It's accessible "on demand" 24/7, and 3) Everyone who's on twitter WANTS to be there. The enthusiasm is contagious! I believe that school leaders have a responsibility to share the awesome things happening in their schools, and I hope to contribute to helping as many people as I can in accomplishing that. Educators and students deserve to have a positive story shared about them! #1 - May Matters! 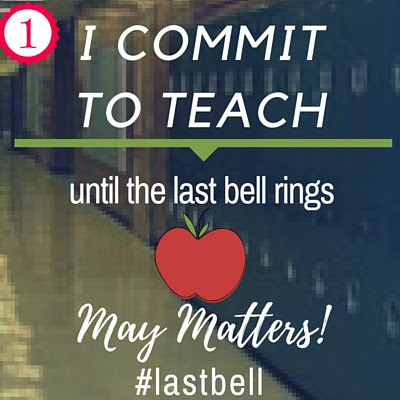 Join the #lastbell movement! 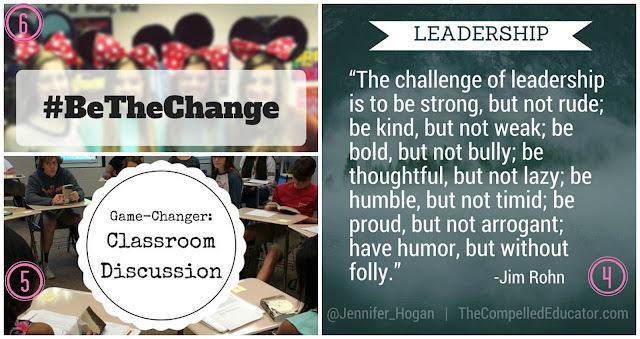 The most-read post of 2016 was a post about a movement that started in my Women in Education Leadership Voxer group. We were talking about ways to keep teachers and students motivated during the last month of school -- a month where engines are drained, motivation is low, and everyone's ready for a break. We shared ideas and resources for ways to celebrate and motivate teachers during May so that it would "fill their bucket" throughout the month. 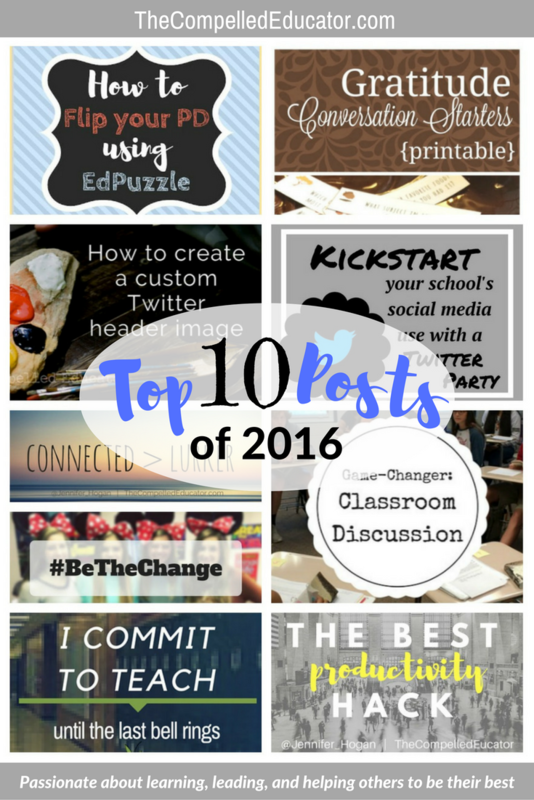 It was energizing to see the photos and ideas that were being shared on social media! Were any of these posts your favorite from the year? I would love for you to leave a comment or reach out on Twitter or Facebook. Thank you from the bottom of my heart for helping to make 2016 one of the best! These are awesome! Thanks for sharing! Many of the Top 10 here were my favorites too. I can't wait to share your Top 10 with the teachers in my district. Thanks for posting! Thanks for reading and commenting, Karen. 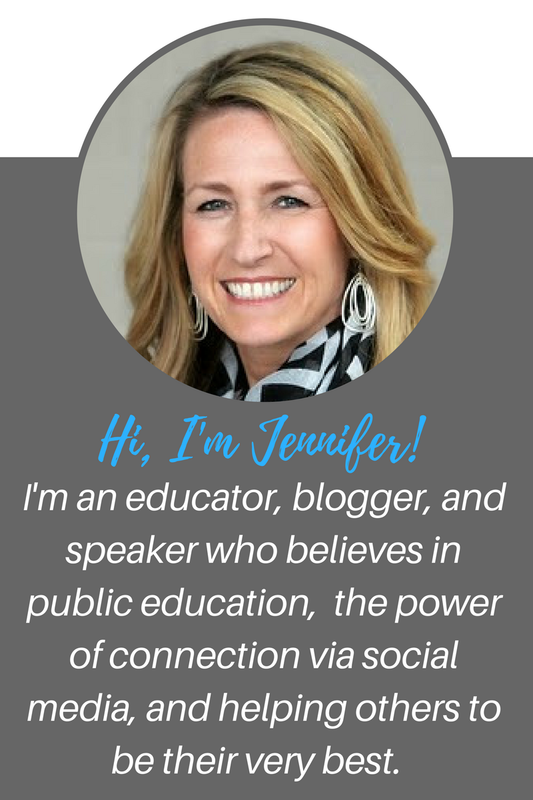 I hope the posts resonate with your teachers in your district. Keep me posted!